You rent the whole cabin. 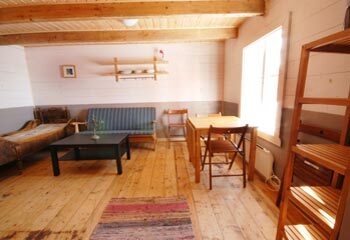 The price for one or two persons are NOK 950 per night, 12% VAT included. If you consider renting for a full week or longer, we give the rebated price of NOK 875 per night (NOK 6.125 for the first week). The price includes clean bed linnen and towels, heating/hot water, soap, toilet paper. When leaving the cabin, the guests have to vacuum clean the house and wash the dishes. Prices are in NOK, to convert to your local currency see: XE.com - Personal Currency Assistant. We apologize for not making bookings for a shorter stay than 2 nights. or call us on telephone no. (+47) 90 50 60 80. Copyright © Ekkerøy AS 2002-2018. All rights reserved.